Once you have narrowed your choice down to two excellent mandibular advancement devices, all you need is a fresh, objective look at both of them in order to know for certain which one of them is the right choice for you. We have made this SleepTight VS ZQuiet comparison for that purpose. See how well these devices satisfy our criteria and which one of them we believe is the more reliable and effective snoring aid. SleepTight is an anti-snoring mandibular advancement device that is built to last while making snoring a thing from your past. It is a bite-and-boil product that is long-lasting and durable, with a lifespan of up to 30 months. SleepTight Mouthpiece can last for 6 to 24 months with proper use and maintenance. SleepTight Mouthpiece is made of an FDA-approved material called Ethylene-vinyl acetate (EVA). It does not contain latex or BPA. SleepTight Mouthpiece is easily customizable, with the entire fitting process taking just about 5 minutes. In order to an achieve optimal, customized fit, the boil-and-bite method is employed. The device can be re-fitted up to 4 to 5 times. It features the special dual laminate design that allows for greater flexibility and maximized fitting accuracy. With SleepTight Mouthpiece, the adjustment period significantly varies. It can last anywhere between a few nights and 2 weeks. SleepTight Mouthpiece’s effectiveness has been proven in clinical trials. The device repositions your lower jaw and thus keeps the oral airway open and prevents vibrations that cause snoring. It may not only reduce or even eliminate snoring, but it is also an effective solution for snorers who suffer from mild to moderate sleep apnea. SleepTight Mouthpiece should be cleaned with a very soft toothbrush and liquid antibacterial soap after every use. After cleaning, the device should be thoroughly rinsed and left to air-dry. Once a week, the device should be cleaned with a denture solution. Excessive salivation, which usually ceases with prolonged use. $79.90 divided into two payments: $9.95 for the 30-day trial and $69.95 after the trial is over. SleepTight Mouthpiece comes with a 30-day trial and money-back guarantee. If you are not satisfied with the product, you can return it within 30 days and receive a full trial price refund. The shipping and handling fees are non-refundable. SleepTight Mouthpiece does not come with a warranty. Why didn’t I buy this mouthpiece ages ago??? Apart from not having to take long naps in the afternoon after waking up exhausted, my wife is also having a better night’s sleep and doesn’t have to push me to roll over every single night. This mouthpiece is too big for me and I can’t close my mouth without a considerable effort when I put it in. 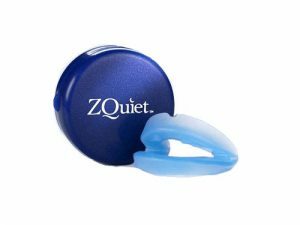 This mouthpiece is considerably cheaper than all other similar snoring devices I checked. On top of that, it works beautifully. My jaw ached a bit in the beginning but it was a smooth sail from there. It stopped my snoring completely and even improved the posture of my jaw during the day. I don't even notice if there anymore and it also protects my teeth from grinding against each other while I sleep. Perfect solution for tongue snores and I definitely recommend it. I thought it ludacris at first, but it actually does help, not 100% but it's something. I could learn a proper song, though, now that I'm already at it.